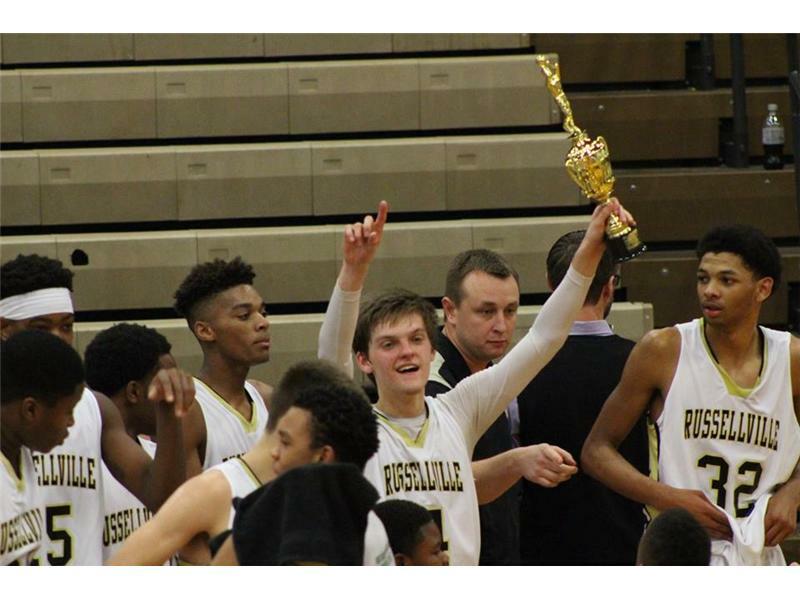 Four was the magic number Tuesday as the Russellville Panthers beat Clarksville Kenwood 60-50 Tuesday for the championship of the FSNB Christmas Classic. It was the fourth time RHS has won the championship. Their win kept former Panther coach Dennis Pardue stuck at four championships, three of them coming while he was the RHS bench boss..
For current Panther coach Phil Todd, this was his first time to win the championship, even though he coached the Panthers to five regional finals, three regional championships, and consecutive trips to the state Final Four between 1992 and 2001. He was not, however, coaching through the early years of the tournament, which was started by First Southern National Banks, Roy’s Bar-B-Q and WRUS. Pardue’s Kenwood Knights won the Christmas Classic championship last year and were in position to do so again, but Todd’s Panthers had other ideas. Russellville jumped out to an 11-0 lead. Jacob Naylor and Jason Mitchell each hit 3-pointers to help the Panthers lead 19-6 after a quarter. 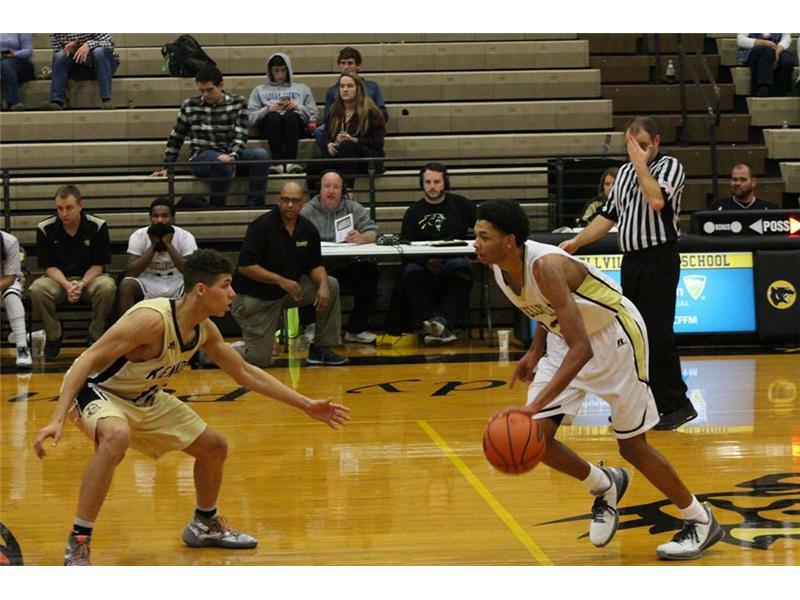 Micah Naylor added a second-quarter 3-pointer, and Pedro Bradshaw and Jaylin McMurry each hit three free throws and a field goal as the Panthers went up 31-16 at the half. Bradshaw hit five shots in the third quarter, but the Panthers’ lead grew to 44-27 after three quarters. Pardue’s team made a comeback in the fourth quarter, cutting that 17-point deficit to six at 52-46. Matthew Nord scored 7 of his 14 points, Keith Dowlen 6 of his 16, and Tyree Boykin all 7 of his points in that final stanza. When that six-point margin appeared, Micah Naylor hit a reverse layup, followed by a Jaylin McMurry steal that resulted in a bucket. The Knights never seriously threatened again. The Panthers improved their record to 8-2 with their fifth straight win, all in tournament games. Bradshaw finished with 21 points, 19 of them in the first three quarters. McMurry picked up 6 of his 13 points in the fourth period. Micah Naylor added 10 points, one more than his brother. Russellville plays at Logan County Saturday in this year’s first Clash of the Cats.